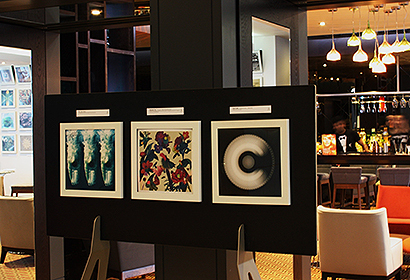 For the Best Art Vinyl 2013 award, Art Vinyl teamed up with the hotel chain Malmaison for a series of exhibitions in their very unique boutique hotels. 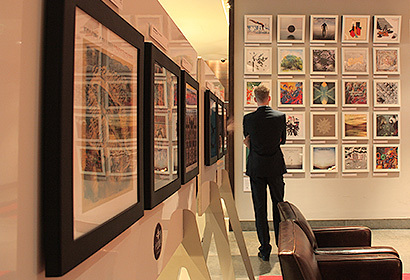 The winners were announced on the 3rd of January 2014 with exhibitions in unique locations where the public could see the sleeve design in greater detail and see the top 50 as a unique snap shot of record jacket design for 2013. 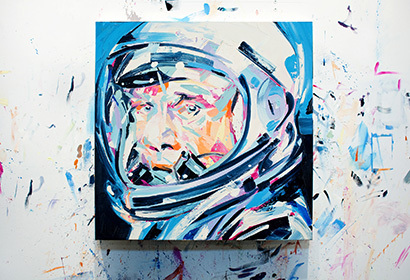 In the end the public voted Michael Kagan’s oil painting on the cover of White Lies’ record ‘Big TV’ to number one. In second place we find ‘Repent Replenish Repaeat’ by Dan le sac vs Scroobius Pip with artwork by Paul Jackson, followed by Bonobo’s ‘North Borders’ designed by Leif Podhajsky. 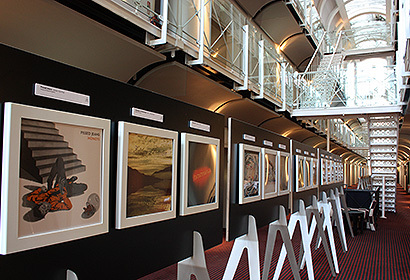 To see all 50 Best Art Vinyl 2013 winners and nominees please visit our dedicated Best Art Vinyl pages.